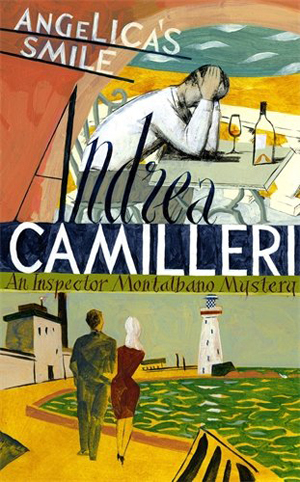 Angelica's Smile is the seventeenth gripping title in the hit Italian Inspector Montalbano series by Andrea Camilleri. After sitting in the car on the hill for about ten minutes, Montalbano realized this was a big mistake. Because he didn't think at all about the investigation, the burglars, or Mr. Z. He thought about Angelica . . . What had he done? When members of Vigata's elite are targeted in a series of perfectly executed burglaries, Inspector Montalbano reluctantly takes the case. It soon becomes clear however that more links these privileged few than simply their lost possessions . . . It isn't long too before Montalbano finds himself taken with one of the victims, the captivatingly beautiful young Angelica. But as the detective's attraction grows - until he can think of little else - a series of strange, anonymous letters claiming responsibility for the thefts begin to arrive . . . With the allure of Angelica beginning to consume him and his relationship with Livia under threat, Montalbano must focus his mind to solve this perplexing investigation before events spiral out of all control. Angelica's Smile is followed by the eighteenth book in the series, Game of Mirrors.